Jackie Edwards - SCI Technology, Inc. Unless you’re an employee at SCI, you might not know the name Jackie Edwards. But if you’ve visited the plant anytime over the last 18 years, you’d almost certainly remember him. 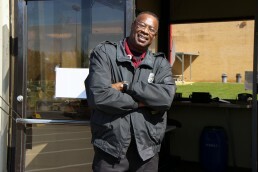 It’s no stretch to say that Jackie, who will mark 18 years with SCI this August, leaves an impression on anyone who passes through the guard station. Standing 6-foot-6, this former college basketball star nearly always wears a smile and offers an encouraging word for all. That’s great advice for anyone. But for Jackie, who serves as a Senior Security Officer, those words are more than just an idea. They’re also part of his job. 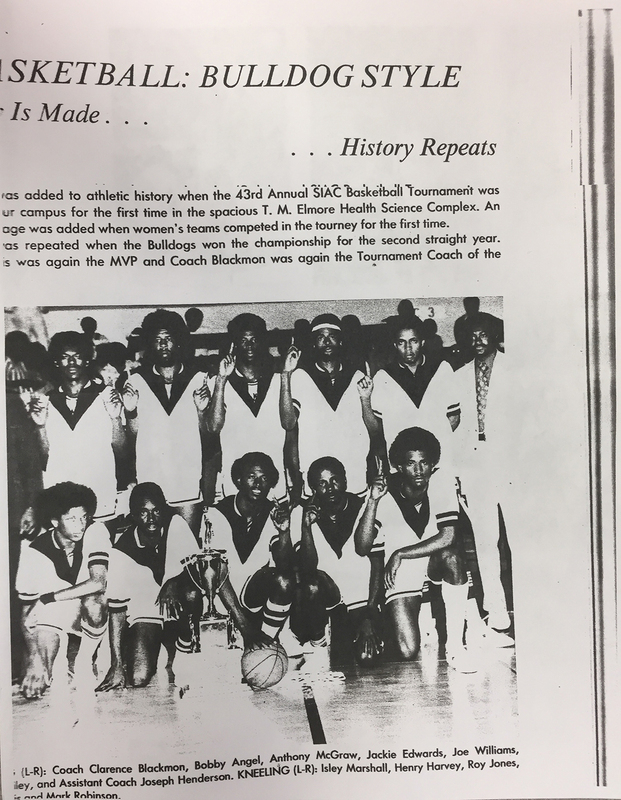 Jackie’s story starts in his hometown of Selma, Alabama, where he stood out as a high school basketball player. 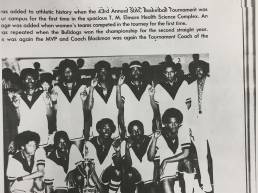 With his talents on the hardwood, he earned a scholarship to play at Alabama A&M University. 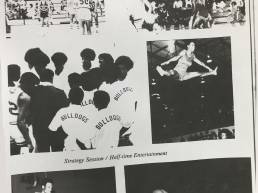 At A&M, Jackie earned a Bachelor’s Degree in Industrial Arts Education and starred at forward for the Bulldogs from 1972-76. As a senior, he led A&M in scoring and rebounding, and ranked fourth nationally in rebounding. 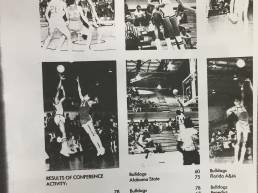 From there, Jackie caught on with semi-pro basketball teams in Seattle, Washington, and Portland, Oregon. 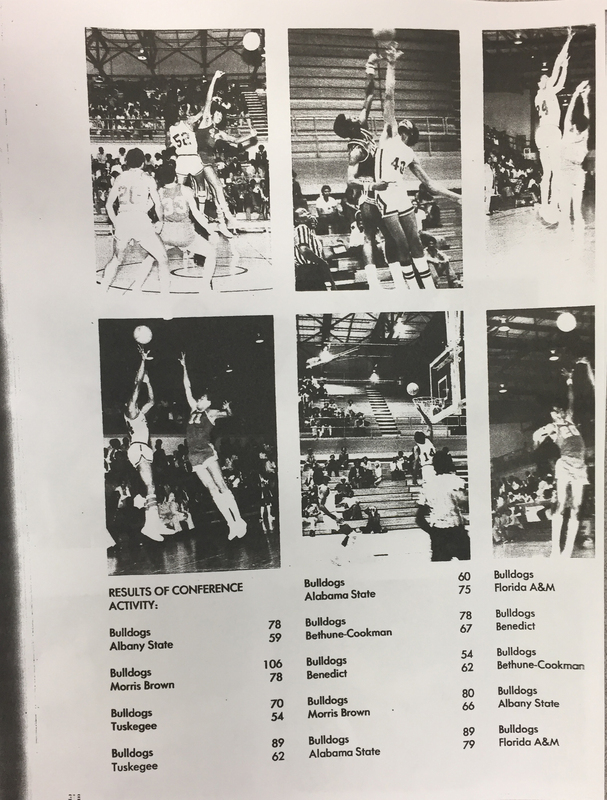 As a member of the pro teams’ “Taxi Squads,” he played against NBA veterans like “Downtown” Freddie Brown, Jack Sikma, “Big” Bill Walton and Bob Love. While he never “made it” as a professional, Jackie says he is thankful for the opportunities he had. Jackie spent two years in both Seattle and Portland before returning to Huntsville. Back in the Rocket City, he joined a semi-pro team called the Marauders that traveled to different cities to play games. After his playing days were finished, Jackie changed paths and entered law enforcement. He went through the academy at Jacksonville State University and worked three years for the Alabama A&M police department. Next, Jackie returned to Selma and worked with the Dallas County Sheriff and Vaughan Regional Medical Center. In 2000, Jackie and his wife decided to move back to Huntsville. He joined SCI’s security team in August of that year and has been here ever since. 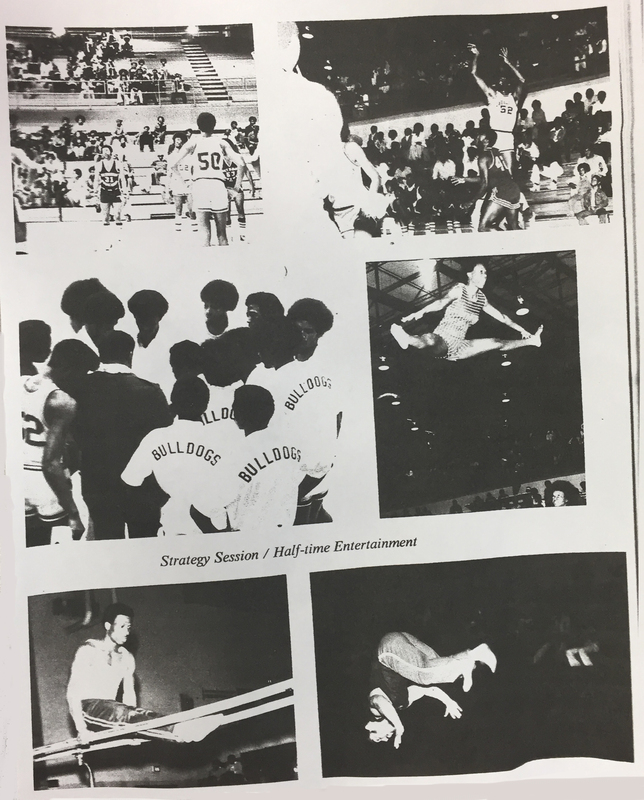 Jackie Edwards (Number 52) can be seen in the top-left photo. Courtesy of Carlton Rice.